Anyone with some news can email it to us on . Next BWG at 630 pm on 28 Feb at Petersham Council Offices, Fisher St. Agenda and Minutespast minutes. If interested in attending let us know. Mayor Byrne has called a Public Meeting May 29 630 pm Sydney Secondary -Leichhardt Campus- entry from Derbyshire Rd, to discuss what the community wants from the project, which got sent back to the drawing boards by Council in March. Residents opposed one way restrictions on Lilyfield Rd, which were proposed in order to fit a separated cycleway in. Cyclists opposed the narrow cycleway down the steep hill to the canal and lack of connectivity at crucial points, like Balmain Rd. Inner West Bike Coalition will be presenting our viewpoint at the meeting. Details here. State Govt has approved the tunnels connecting M4 to M5 under Leichhardt, and the start of the tunnel under Rozelle and Balmain to the North Shore. The Railyard (whats left of it) will be turned into a park, with 30 m smokestacks, but also cycleways along it and across it. One path is supposed to run from Lilyfield Rd at Justin St to the Anzac Bridge, under Victoria Rd. Both the footbridges at Victoria Rd will go. A bridge will cross the City West Link into the railyard from near Whites Ck at bottom of Brenan St. Buruwan Park is to be destroyed (at end of Railway Pde), but we think access to The Crescent will be retained around the edge. a bridge will be built over The Crescent into the railyard, and also linking to the Light Rail station. One interesting condition is that Westconnex will be required to build a cycleway between Iron Cove Bridge and Robert St along Victoria Rd, or nearby. See the Determination for more details. Results of the first Inner West Council election came down to preferences. According to Tallyroom Greens and Labor have 5 councillors, with Labor just missing getting a sixth councillor (Linda Kelly) in Balmain ward, which went to Greens-leaning independent John Stamolis. Liberals have only 2 councillors, with 3 independents. Julie Pye lost to Victor Macris (conservative Independent) in Marrickville. Jennie Lockie (NoWestconnex) is the third independent. 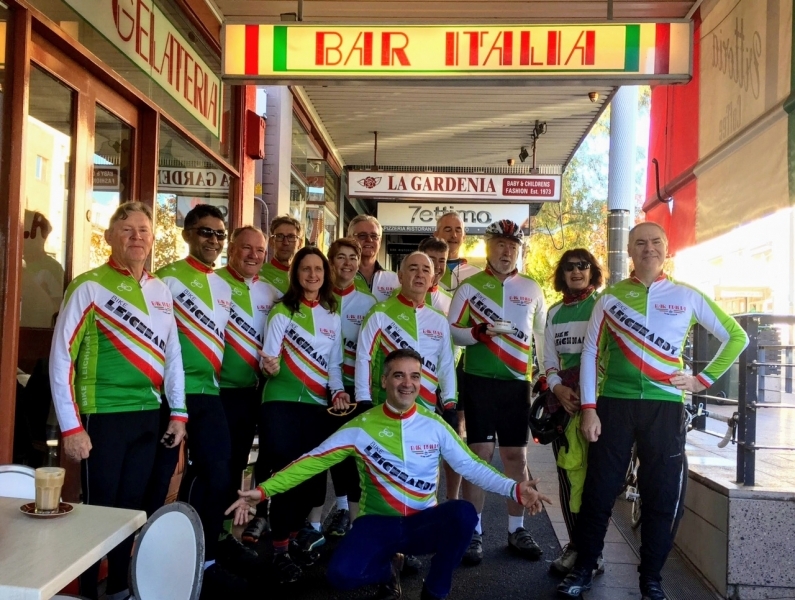 Both Labor and Greens have promised substantial funding for bicycle works (which had already been approved in the budget for 2017-18 by the Administrator), so lets hope cycling will get cross-party support. Update: In a controversial but not unexpected move Labor joined with the Liberals to outvote the Greens 8 to 7 and ensure Darcy Byrne was elected by the councillors as Mayor. Labor will have to rely on the two Liberals and one independent to control the votes on Council. Council elections are coming up on 9 September. The candidates for the new Inner West Council have been announced. There are 5 wards, with 3 councillors to be elected in each ward. Check out your ward and contact candidates for a chat about their opinions and policies on cycling. For comment on the parties and possible outcome, see tallyroom.com.au (scroll down to the end). “-a fight mainly between labor and the greens”. Labor has got in first and is promising a $10 m “bicycle fund”, plus a commitment to finish the Greenway. The Bicycle Garage bike shop on Lilyfield Rd has closed. They are reopening at 1A Lords Rd in Leichhardt. The group led by Bob Dunn all arrived home safely after their Passau to Budapest tour, and say everything went very well. No doubt a few stories at the Mid Winter function coming up in July. See photos on Meetup, or maybe on this website if anyone can figure out how to load them! New 5 m wide path installed from Timbrell Drive to UTS Rowers. It will have separate bike and pedestrian sections, as on the rest of the Bay Run.See Blog post for more detail. New jerseys being delivered. If you want one and havn’t ordered one, we will be putting in a second order if enough want jerseys. Email us. Westconnex. A plan for the Rozelle rail yards has been released. It shows possible bike paths along and across the rail yards. There could be a cycle bridge over the City West Link and light rail line to Whites Creek, and another bridge over The Crescent, where the traffic lights are now, but access from Railway Pde through the small park under the light rail may be lost. Lilyfield Rd cycleway. The proposed bidirectional bike path along Lilyfield Rd looks set to be approved by Council but we havnt seen the final plans. There were strong objections to having a two way path down the steep hill to Hawthorne Canal but Council said recently they want to retain that. Bike groups including IWBC have been urging that the route should go through the railway cutting under Norton St and Balmain Rd. Old stuff from previous website— will have to edit this. The Callan Park Masterplan is proceeding. There was anothercommunity meeting on Saturday 28/8 where groups discussed allaspects of the park. Transport and Access was one topic, whichincluded cycling. LBUG put forward ideas on how the park should bebased on Active Transport ( walking,cycling, buses), with car userestricted or at least not encouraged. See LBUG’s photo essay and a Google Map of the area, showing cycle routes,cycling facilities, hazards that need fixing, newopportunities. August 2010 Bike Business Booming. Bike shops in the inner city have almost doubled in the pastfive years as Sydney ’s bike economy continues to boom. A City of Sydney survey of 23 bike businesses within a 10kmradius of the CBD found 10 new bike shops opened in the past fiveyears. Together the 23 bike stores employ 214 people. Sydney’s increasing demand for cheap, efficient two-wheeledtransport has fuelled the growth with the bike stores reporting a30% increase in sales of commuter bikes in the past five years. The bike businesses reported a variety of factors underlying thegrowth in sales: a perception that bike riding is now safer, thatit is more ‘doable’ in terms of fitness and length of the ride, andthat it is a cheap transport option in times when the cost ofliving is high. Morgan’s Bicycles of Alexandria opened in 2008 selling Velorbisbikes that are highly popular in Europe . Last month Japanese cyclestore Tokyo Bike opened its first store outside of Japan in SurryHills, near the Bourke Street cycleway. One shop, Ashfield Cycles, said that 5-10 years ago theycouldn’t sell commuter style bikes, but now they represent 75% ofsales. Industry associated with bike sales is also growing. RenegadeCycles of Lane Cove has taken on an apprentice bicycle mechanic tohelp service the bikes they sell. Israel Leichterman also saw aneed for more bike mechanics and after doing his own researchopened his repair store, Bicycology, in Pyrmont earlier thisyear. The popularity of cycling is evident in BRW’s top 100 growingcompanies with Cell Bikes of Stanmore making the list. May 17 2010- New NSW Bike Plan released. The Greenwaygets the nod as does the Harbour Link project, Naremburn to MilsonsPoint. See Forums for discussion. A new bike and walkers bridge is to be constructed over HawthorneCanal near Blackmore Park, so that cyclists can bypass thedog infested path on the Leichhardt side, which is also beingbroken up by fig tree roots, and the crowded area near Cafe Bones.The 10 K shared zone will be extended further along the canal roadup to the boom gates. Cyclists who use the bridge can then use thebike path on the Ashfield side up to Marion St and further on toParramatta Rd. The RTA advised Leichhardt Council they are anticipatingstarting work on the upgrade for cyclists along the Victoria Rdcorridor from Gladesville Bridge to White Bay in next month or two.See more on the background to this project under CAMPAIGNS on topbar, and News from Dec 10, 2009, below. Bay Run Upgrade- March 2010. Verity Firth has announcedthe State Govt will fund the paving of the Bay Run between theRowing Club at foot of Glover St, Leichhardt, and the lower sportsoval of Callan Park. Currently it is a big open flat grassed ordirt areae, quite good if it is dry, but muddy if wet. It will bebetter if paved, with a separate bike and walking path, and Billand I wont have to go down and smooth out the rocks and roots everyso often! Hope they also improve the rough connection to the road networkat the eastern (cricket oval) end, and maybe Verity Firth couldurge the Dept of Health to do some urgent repairs to the otherroads in Callan Park, which are very dangerous in places because ofyears of neglect- pot holes and rough gravel in a number ofareas. The Park is still in the control of the Dept of Health, untilLeichhardt Council and the State Govt work out the handoverdetails, a slow process. Road repairs should have been done as partof general maintenance of the Hospital grounds, not left to belumbered on to the Council. Photos of Callan Park and the Bay Run. Light Rail and theGreenway – The light rail extension to Dulwich Hill hasbeen approved by the State Govt. The Greenway project, which has asits aim a bike way and a green corridor from Cooks River along therail corridor, is ready to go and can be included in the Light Railproject – light rail and bikes can coexist in the same corridor, atleast between Cooks River and Iron Cove. Write to the Premier and your MP usingthis GreenWay formletter 0310.doc supplied by the Greenway group, oremail them. 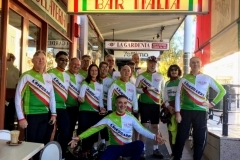 Wednesday Feb 10 – Leichhardt Bicycle Advisory Committee630 pm Leichhardt Town Hall, downstairs meeting room. If interestedin the implementation of the Council’s BicyclePlan come along. Can park bicycles inside. Entry from side dooron Marion St side. BAC meetings are usually held quarterly. Agendasare on the Council web page. Next meeting is inMay. Jan 21- Rides calendar for 2010 now online.Includes proposed Tours (two days or longer). If interested in anyof the tours contact the leaders as soon as you can to makeplanning easier. Also join the Touring group on Ning (see underGROUPS on top bar above). Dec 11, 2009- Learn to Cycle classes in Leichhardt MandySmith at Leichhardt Council has got a grant from Austcycle to runcycling classes at the Secondary College. Run by qualified coachesthese classes will be good for new cyclists or anyone wanting tobrush up skills and gain confidence. Concentrating on womencyclists so far, but men’s classes also. When – Start – Late Jan, Feb and March 2010. Contact Mandy on 9367 9281. Courses filling fast but more can beorganised. Dec 10, 2009-Victoria Rd Upgrade for Cyclists The finalPlan has been released. Have until Dec 23 to submit comments,although we have asked for an extension due to the pre Xmasdeadline. There is a lack of design detail in the published Plan,which makes it hard to comment on unless you have been involved inthe project. The main point is they have only gone so far, whenthey could have spent a little more and done much better. $2 m ofthe $5 m budget is for a connecting foot/cycle bridge from HenleyMarine Drive to the new Iron Cove Bridge, which really should havebeen in the Victoria Road/Iron Cove bridge budget, not the cyclewayupgrade budget. The full plan and REF (Review of EnvironmentalFactors) is at http://www.innerwestbusway.com.au/CyclistsandPedestrians.htmas a 16MB pdf, or download the shorter brochure giving a quickoverview. Sections 2 and 3 of the REF have most of the importantinfo. See under CAMPAIGNS in top bar above for past history of LBUG’sefforts to get the cycleway upgraded. September 2, 2009- Victoria Rd Upgrade for Cyclists TheRTA and the consortium (BTBA) building the new Iron Cove Bridge andbusway on Victoria Rd have said the final plan for the cycling upgrade part of the project will bereleased for comment soon. Please keep an eye out for this releaseand make a comment. From our involvement over the last 2 years theplan will only go part way to addressing all the problems alongthis route. Still no solution to the “cyclists dismount” sectioncoming off the Gladesville Bridge, and inadequate clearance behindthe bus shelters on the shared path (except at White Bay, which isone good thing to come out of the campaign). July 4, 2009 – Sydney Metro – The Sydney Metro isan underground rail line from Central to Rozelle, with eventualextensions to Parramatta and Malabar, and possibly to the NW. Couldbe a major addition to Sydney’s transport if it ever gets built.Cycling and walking are supposed to have priority in getting peopleto the Metro stations according to the Preliminary EnvironmentAssessment, and the Metro says there will be no commuter carparks. LBUG went to the last info session at Balmain Town Hall to findout more. Be great if they really intend to make the roads safe forpeople to ride to Rozelle to catch the train, but found thedesigners hadn’t done much to identify a network of cycle accessroutes. One good thing we found out is that the construction of thestation at Rozelle means there will be more footpath space(buildings on the corner will be demolished to provide access tothe underground), so we are hopeful the bus shelter problems on theVictoria Rd shared path at Darling St can be fixed. Theconstruction of a stabling yard on the Rozelle Goods Yard alsomeans there is the opportunity to build cycle routes along andacross the Goods Yard area. See more under Campaigns. Note added in August 2010– the whole Metro project was ofcourse scrapped, but maybe some of these bike route ideas willsurface again with the redevelopment of the Rozelle Goods Yard andthe Bays Precinct. April 28- Herald editorials on cycling– The Heraldcontinues its pro-bicycleeditorials on 28 April, and an article by Paul Bibby, with the usual flurry of cycling letters onfollowing days. The April 15 BAC meeting discussed a paper by Robert Johnson to amend the Bike Plan to includebicycle routes in the Rozelle Goods Yard and White Bay area (BaysPrecinct), in view of likely developments there in the near future(CBD Metro, cruise boat terminal, White Bay Masterplan, M4 eastextension, light rail, Greenway). His paper was accepted and arecommendation was made to amend the Bike Plan. More…The Bicycle AdvisoryCommittee meets quarterly (next meeting July15) and will beconsidering priorities for the next years works, and monitoringprogress on implementation. The Greens have increased the bike budget. They intend spendingan extra $260K on the bike plan before June 30. (Current budget forthe year is $165K, so its a big increase.) The money would comefrom postponing the start of a new council building and otherreallocations. They are also considering charging residents a feeif they have more than 2 parking permits, and changing the s94 planso developers money that was supposed to go towards providing carparking could go towards other more sustainable transport projects,like bike ways or bike parking. They had legal opinion that theycould amend the plan.